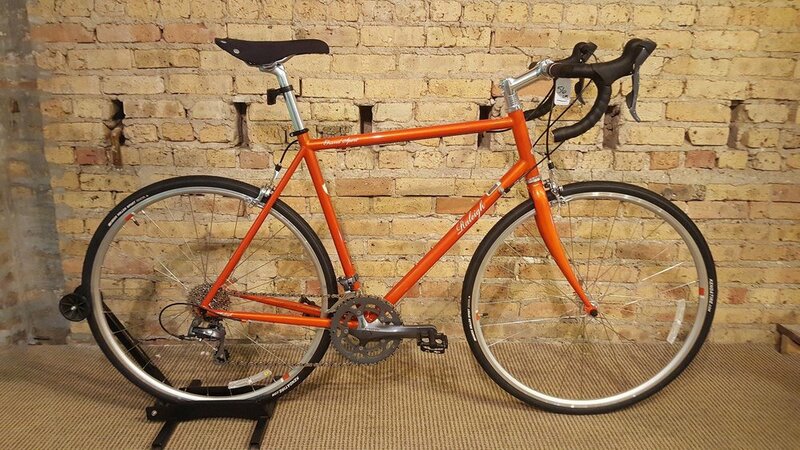 Orange Raleigh Grand Tour. Missing bits of handlebars and seat due to some hungry squirrels giving it a chew. Bike in attached picture is not stolen bike but it’s twin.